My life changed. I set boundaries. People soon knew that they cannot call or text me after 5pm because I’ll be in the air. It mean’t so much for me and the great thing was I could still use my phone as I so chose to. Now while I couldn’t exactly emulate my past nostalgia, I did learn a few things about phones. We make them so much more valuable than we need to. We are less productive the more we are on them. We cannot give people our undivided attention when our relationship with our inbox is more of a time investment than the important people in our lives. I learned the art of control, and my original discomfort turned into power. Knowing fully well that I own my phone and that it doesn’t own me changed the way that I communicated with everyone. My phone turned into a phone and not a lifeline, I became more focused on what is most important, and I didn’t care for the red notification bubbles and instant nature of communication as I once did. I became a 9–5 person in my private life and this means that I no longer overcommit, over work and over stress about responding. Those who matter will wait, those who don’t want to wait do not value your time. 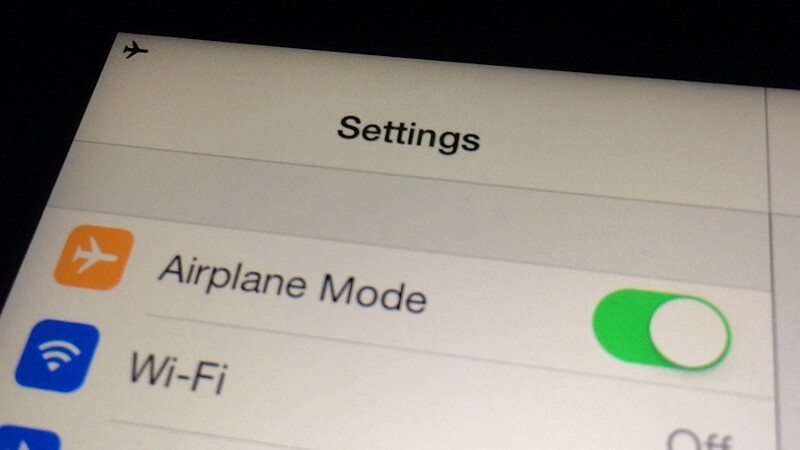 The final point on Airplane Mode is… your battery charges faster when it’s activated. Gotta love it.